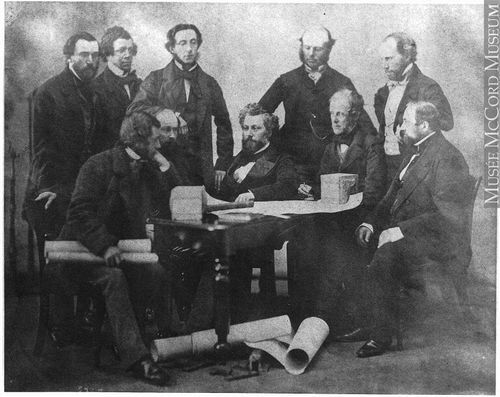 James Hodges (1814-1879) is seated at the centre, in the front row. Among the others are David Aikman, John Duncan, William Newcombe, C. J. Spiller, Thomas S. Scott and William Ellis. This photograph shows ten of the men involved in the construction of the Victoria Bridge at Montreal, QC.